There is a definite trend toward new executive titles, roles, and responsibilities as the modern healthcare system evolves. The Chief Health Information Officer (CHIO) is one of these titles, stemming from the Chief Medical Information Officer (CMIO) role as it evolves from a purely operational position into one that includes strategy, transformation and leadership over teams. It’s a process of role expansion that we’ve seen in health IT recruiting over the past few years—for example, the Director of Analytics has become the Chief Analytics Officer, the Director of Technology Services has become the Chief Technology Officer, and the Director of IS Security has become a Chief Information Security Officer. What distinguishes the role of CHIO is an increase in scope and that the role has undergone a transformation from being a key IT leader to one of the top physician executives within large and progressive organizations. Many of our clients started developing the CMIO role as the market changed in the past decade, and they came to the realization that clinical input was necessary in order to ensure alignment between physicians, nurses, IT, finance, and operations. Those initial CMIOs were essentially “super-users,” or technologically inclined physicians that may have progressed into clinical IS. The first CMIOs that were recruited for health systems were liaisons and translators between the clinical and technical staff, acting as an imperative bridge between the chasms that could often exist between the departments. The implementation of EHRs accelerated the need for this role to the point that most complex hospitals and health systems now have a CMIO. As many health systems have completed the implementation of EHRs, the focus now has shifted again to the areas of optimization, analytics, security, ACOs, and data exchanges. The responsibilities of the CMIO have significantly increased given the evolution of the role. With fee-for-value, health systems now see a need for a unified clinical and IT strategy that can then be implemented throughout a health system. This is where the Chief Health Information Officer becomes a critical cog in an innovative and sophisticated healthcare system. The CHIO may well still be the liaison between the clinical and IT staff, but more importantly it is the clinical strategist that can be looked at to guide a health system’s vision to move forward with the transition to fee-for-value. Most CHIOs not only have a deep understanding of technology but also appreciate how to leverage ROI to take their health system where it needs to go. More than that, they are executives that are able to present their vision to the C-Suite and the Board of Directors and provide the path for implementation. A CHIO must be a very high-level visionary able to understand the interactions between the complex areas within a health system including everything from operations, analytics, research, informatics, finance and IT. A CHIO will likely have control of large clinical or medical informatics teams that include analysts, technologists, and informaticians. CHIOs might also now have CMIOs that report to them, especially in the most complex of systems. With this structure, the CHIO is able to focus on the high-level work around strategy while trusting a team of CMIOs and medical directors to implement that plan. In some cases, the strong CHIO may well have the Chief Information Officer and entire IT organization reporting to them, although this is still somewhat rare in the market. 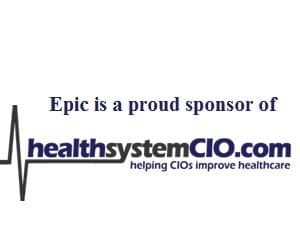 From our clients, we see that the CHIOs exist in the most progressive organizations that have an EHR fully implemented and have a well established IT organization. Most organizations that utilize the CHIO title are well into EHR optimization and transformation. The CHIO must be able to provide prioritization for those initiatives that will yield the most benefit in terms of improving patient care, making resource utilization more efficient, and moving forward strong initiatives for population health. The title of CHIO is likely here to stay as the need for strong physician leadership in all areas of health system leadership continues to grow. The challenge in these senior CHIO positions is recruiting candidates that have the right background and include all of the requisites that the role requires. The physician with healthcare IT knowledge, unique vision, strong executive leadership and the capability of transforming an organization is the executive who can assume the role of CHIO. Hillary Ross is a principal with Witt/Kieffer and co-leader of the firm’s IT practice. She specializes in searches for CMIOs, CHIOs, informatics, research, quality and other senior-level information technology positions. The article was co-written by Zachary Durst, an associate in the firm’s IT practice and formerly a research analyst with the company.